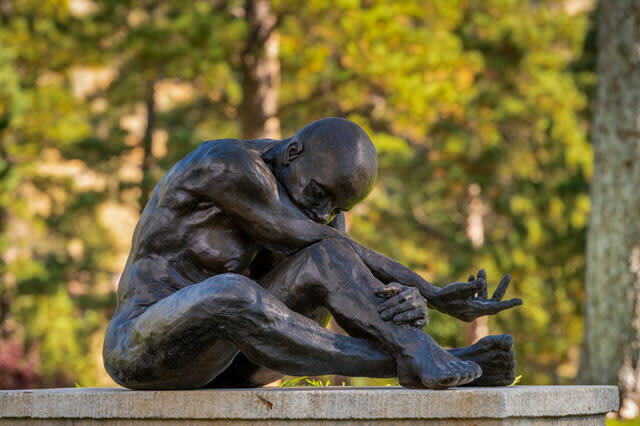 Human | Nature presents 18 sculptures that explore the human form in both classical and abstract styles, from the early 20th century to today. Featured artists hail from around the world and include Eric Fischl, Jacques Lipchitz, Sassona Norton, Beverly Pepper, Auguste Rodin, Rufino Tamayo and Manolo Valdés. From sculpture to selfies to dance, the power of the human figure conveys and conjures a range of emotions. Human | Nature shares the expressive capacity of the human form against the backdrop of the Gardens' diverse botanical environments.